Up the hill on Olive in the 700 block, 711-769, there is an apartment complex. 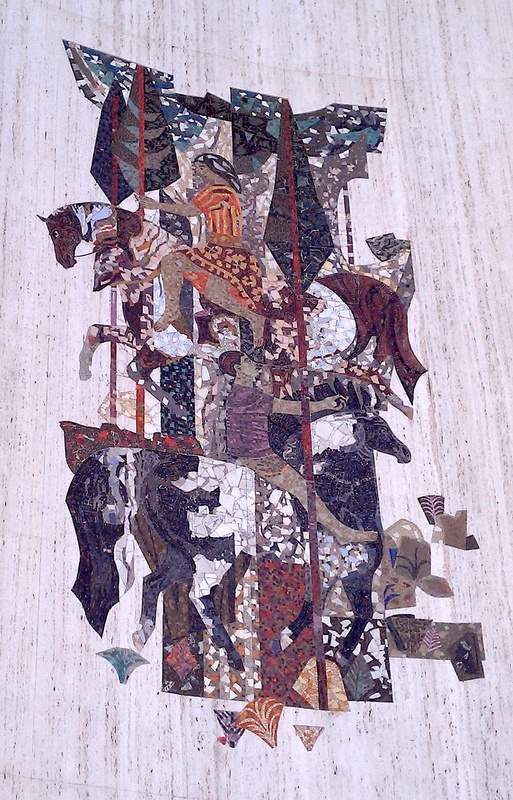 The stairways leading into the complex are artistically decorated with mosaics of colorful and unusual tiles some whole and some pieces arranged with such boldness that it seizes the attention of all passing by. Some of the tiles have beautiful images on them of such as of mother Mary, a fox hunt, assorted animals and patterns.